The TLA meets from 12-12:50 p.m. every other Wednesday and Thursday beginning April 10 and 11 in Haggard Hall Room 222. No registration is required, and participants are free to drop in and join the groups even if they cannot stay for the entire session. All of the questions were created under the leadership and direction of the TLA facilitators, who are all students at Western. Each session gives participants the opportunity to consider a new topic related to teaching & learning that is both timely and relevant. Three of the dialogue questions this quarter are offered in affiliation with the Western Reads program, and are designed to complement specific selections from the book, Octavia’s Brood: Science Fiction Stories from Social Justice Movements. The goals of each dialogue session are to share well-rounded views related to teaching and learning, while encouraging the use of listening to understand and appreciate differences, and promoting open-mindedness and mutual respect for diverse perspectives. Apr 10 & 11: Is obtaining an education a political act? *This question was originally scheduled during winter quarter and was cancelled during that time due to inclement weather. 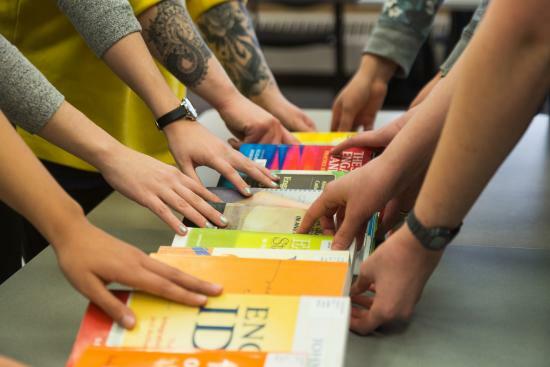 Participants in TLA consistently report that the dialogue sessions provide a great way to connect with others outside of their disciplines and departments, and to learn more about Western’s teaching and learning culture. Many say it also gives them a chance to take a breath and just listen to what others, especially students, really think.